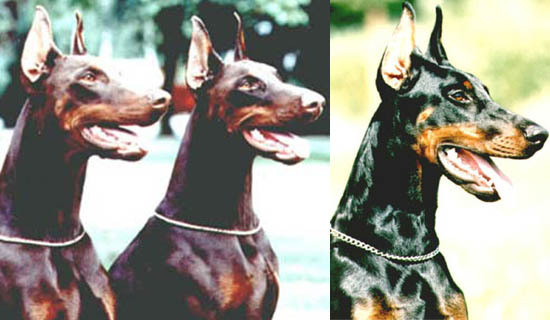 dobermanns for the past 30 years by Massimo Santini. 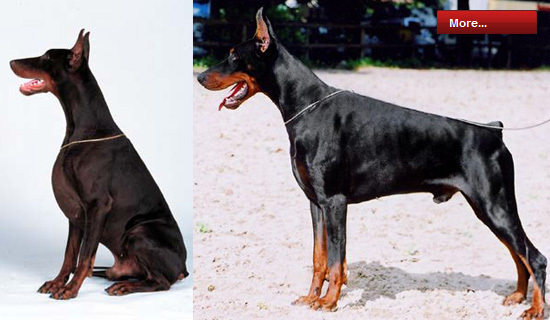 A Synopsis of influential Dobermanns in the USA and the importance of combinations between American and European dogs. "When the heads were expression of the race" - History of Moro del Diamante Nero, article by Mirco Meccariell. "When the heads were expression of the race" History of Moro del Diamante Nero article by Mirco Meccariell. 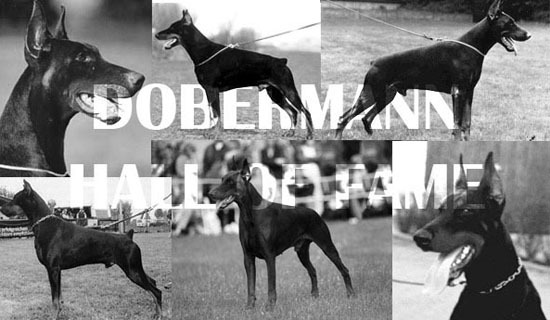 A personal reflection on the life and work with dobermanns for the past 30 years, by Massimo Santini. 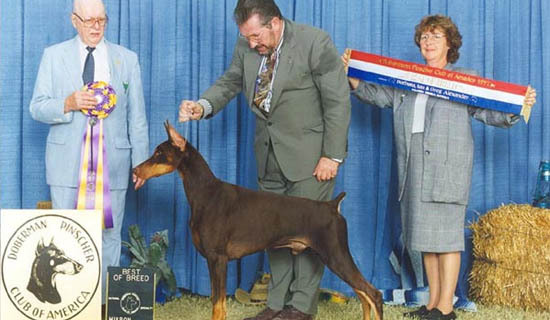 The year 2001 has been full of important shows during which all breeders and dobermann lovers have been able to see some new and important champions of the future and at the same time had a chance to admire the total consecration. 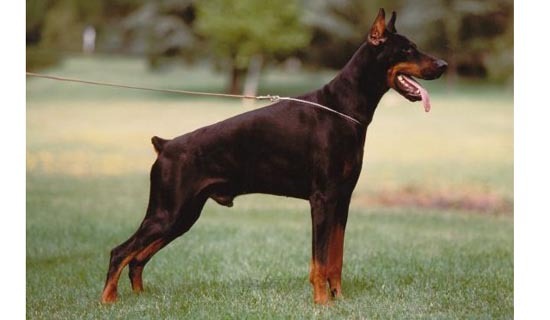 To get to know the Dobermann of today, we need to study its history. In this history, the kennel of Sonja David von Franquemont Freudenberg played a significant role. Parallel interview with Massimo Santini, owner of Diamante Nero kennel and Mauro Favero, owner of Rio Bianco kennel. Interview with Avi Marshak. international FCI all breeds dog judge. Interview taken in August 2002. Interview with Kathy Kraus, the owner of "Cedarhof" kennel.